Finding a reliable, trustworthy tradesman can be a daunting task. When you want to know how to find a reliable electrician, trustworthy plumber or an honest builder there are a huge range of websites that say that they will help you. DIY Doctor has had a good look at a number of organisations that could assist in finding a reliable tradesman and we’ve picked the best bits from all of them to build a service of our own that uses experience, integrity and honesty as a base line. Find tradesmen the Easy way! People are more comfortable with connecting to services like building tradesmen aggregator websites since the growth of other online ‘connection’ services such as Trip Adviser, Airbnb and Uber. 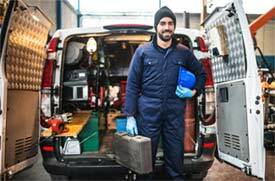 Also connecting you to reliable tradesman has become more sophisticated in the last few years with lots of improvements, but there is still more to do, even from the very best services. This is why we have started to offer our own service. It is underpinned by our partners that will help to locate tradesmen in your area and match your particular job to their particular specialist trade. On top of this we will provide you with our own building contract (Free for it's first use) and we will advise you about how you should proceed to ensure that the work goes ahead smoothly. You get the results you are looking for and we help you with the questions that you should ask including tips for avoiding paying more than you need to. It is not hard to find the contact number of a tradesman in your area. Getting them to work for you and building a trusting relationship (so that you get the best possible job at the right price) is much harder. This is why we have worked hard to provide you with the support that you need to get the job done! Don't just pick a name out of the hat! Get all the tools and advice you need to get the work done to the spec and price you want. To help you even more we have also developed our own "Home Improver Protection Programme". We have produced this programme as a joint venture with numerous tradesmen over the past five years to ensure that it covers both you, the home improver and also the tradesman from any likely eventualities so that all parties involved are protected. To find out more check out our Home Improver Protection (HIPS) section.